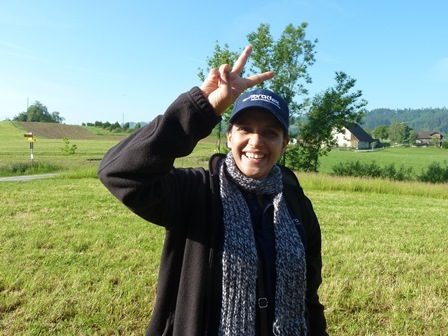 Home News @Toradex we get up early to achieve our mission! This was indeed a very short night for some of us. 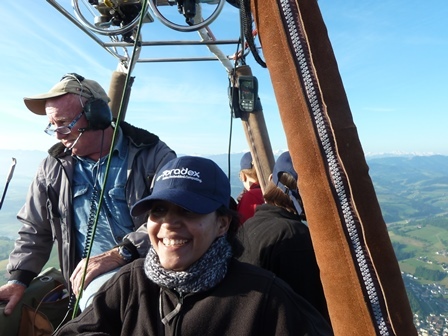 We had to get up in the middle of the night at 2:00 am for the Toradex hot air balloon virgin flight. 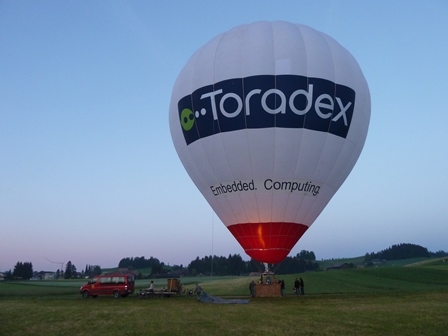 This balloon has been created at the occasion of this year’s 10th anniversary of Toradex. 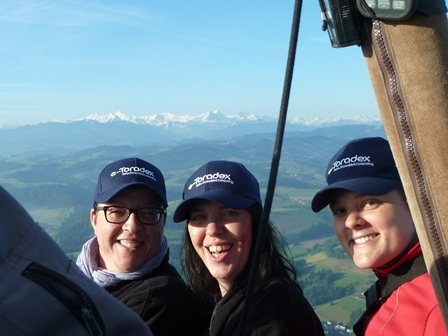 After some intense early morning preparation work by the Toradex team under the skillful guidance of our highly experienced balloon pilot, Mr. Andy Hunziker, the Toradex balloon lifted off into a cloudless sky during the sunrise, the snowy Bernese Alps at the horizon, and the magnificent landscape of rural Emmenthal below us. At this occasion Toradex would like to thank its numerous customers in many different industries around the globe for their trust in our business and confidence in our products. 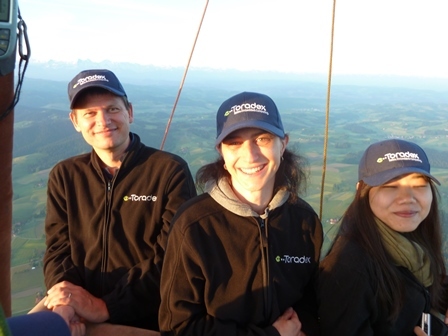 We are therefore very pleased that we’re able to offer our customers special discounts for rides on the Toradex hot air balloon. 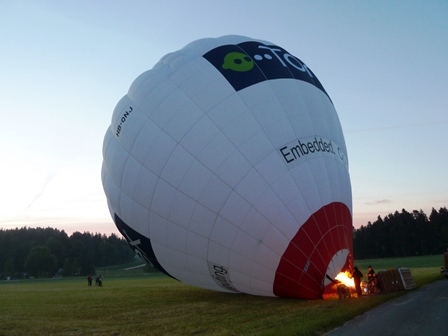 The balloon can be booked via http://www.balloonair.ch/. 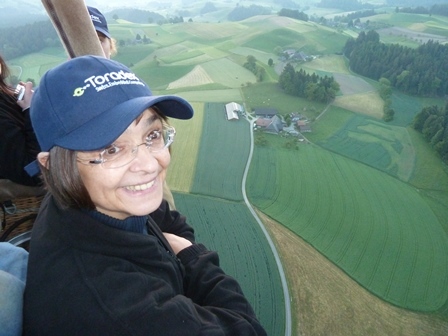 Included in the trip is a free Toradex baseball cap to protect you from the sun and the heat generated by the burner.